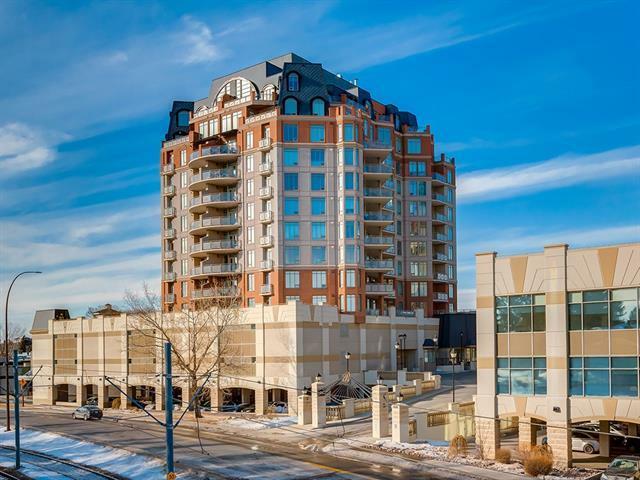 Exceptional 2 bedroom apartment with easy access to downtown with views of Nose Hill park and one titled parking stall! 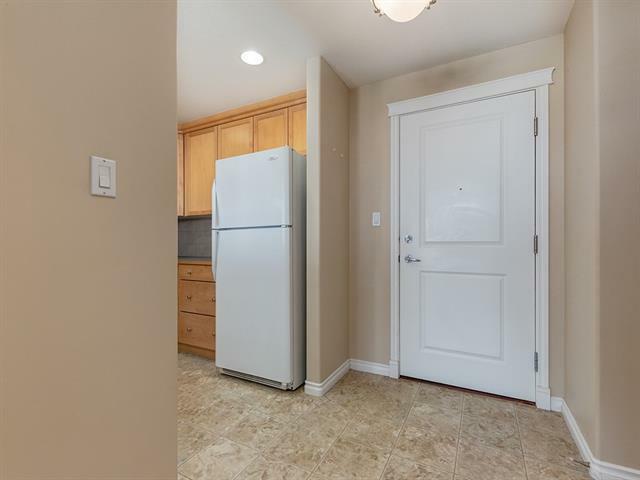 Your new apartment features brand new carpet and ample natural light.The kitchen boasts floor-to-ceiling cabinetry, all white appliances and a raised breakfast bar. 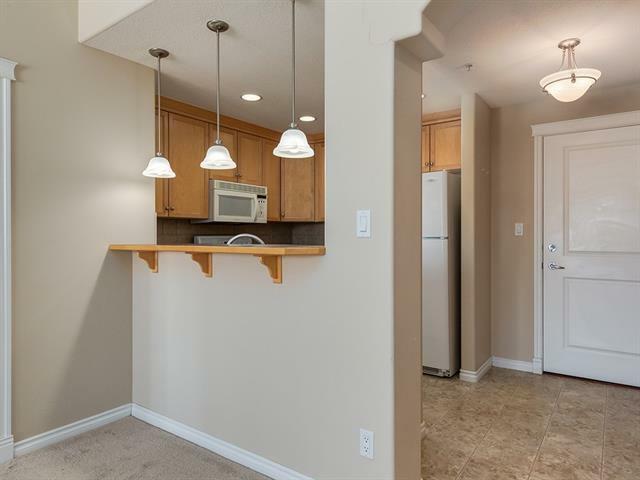 The kitchen flows into your open living room/dining area with a cozy fireplace. The master bedroom features a 5pc ensuite with deep soaker tub and large stand up shower. The second bedroom is across the hall from a 4pc bath. A den with laundry cupboard complete this lovely unit. This unit also includes a heated indoor titled parking stall and titled storage space. This adults only building has even more to offer with guest suites (75/night), theatre room, hobby room, library & reading space, gym, party room, and 24-hour concierge service. 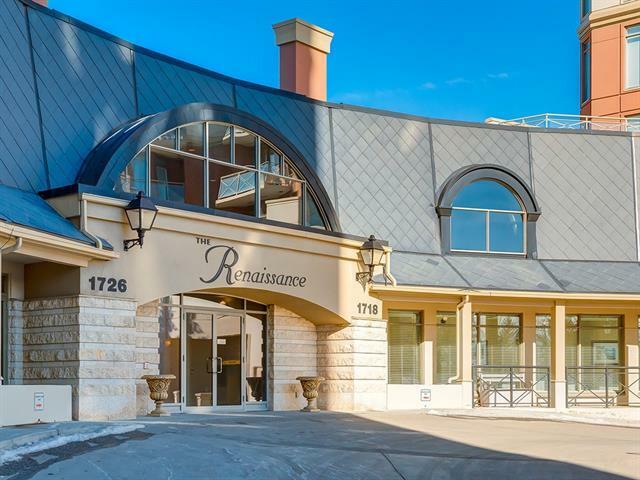 This incredible location is across the street from LRT. Enjoy walking indoors to the Safeway, Sears, Dentist, Doctor, lab services, restaurants and conveniences of North Hill Mall.